Anima Journey is totally solar-powered; all buildings and construction are done using only solar power. The solar cart is shown below. 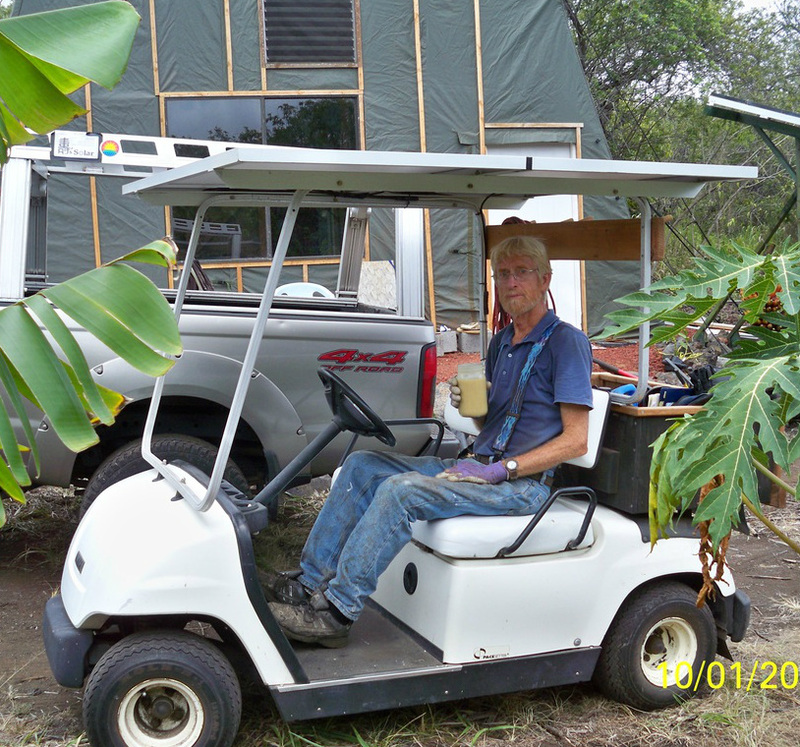 It is our mobile power cart with a 1500 watt inverter and 6, eight-volt golf cart batteries. Powered by the sun, we can use it to, for example, cut down Christmasberry trees [an invasive species] with our electric, non-smelly, non-emissions and quieter chain saw! The super-duper solar system that is used to operate all of the electrical needs of Anima Journey! 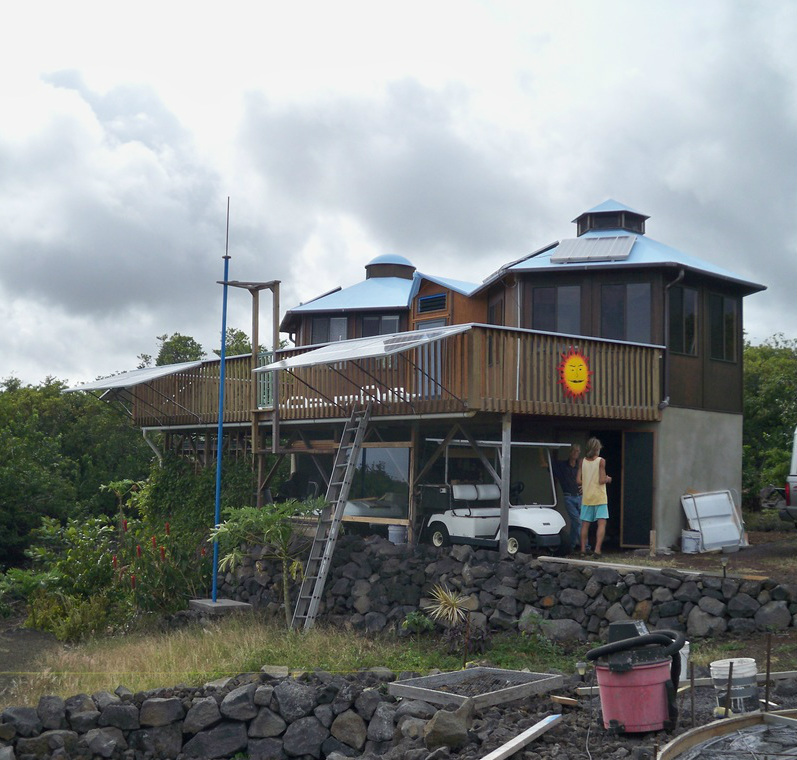 You can see the panels hanging off the lanai, as well as several on top of the cottages. By the way, AJs Solar is looking for a solar apprentice! If you are a go-getter idealist able to work on roof-tops [okay with heights], ethical, an aptitude for electrical and solar equipment, and passionate about solar, you could learn AJs REAL Solar under the tutelage of AJ, who has 20+ years' experience in the solar field plus living on solar, building on solar and never needing a generator back up. If interested, please contact us using the Contact Us page.